A new version of IDpack 9.1.22 for all editions is now available. The new version of IDpack works perfectly with Windows 10 and it looks great! With this release we fixed the data source name bug in IDpack Designer that we had with Windows 10. 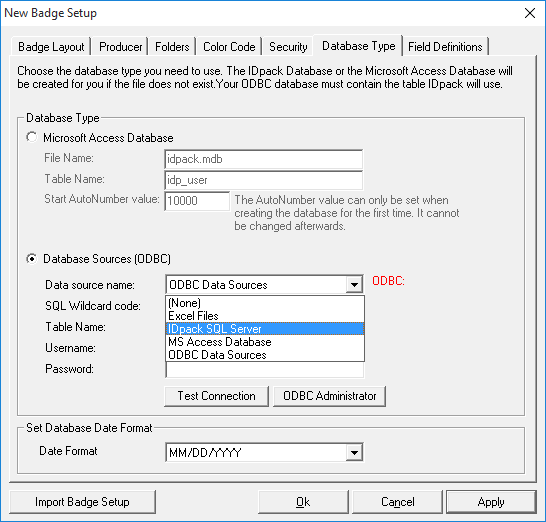 Also, IDpack will now load ODBC DNS System connection from both LOCAL MACHINE and CURRENT USER. Many of you were waiting for this fix and we are happy to delivering it at the beginning of the year 2016! Thank you for supporting us since so many years! ← IDpack 9.1.8 is now available!